Marco led us quietly through the dry tropical forest of Costa Rica’s Santa Rosa National Park. The world around us was a palette of every shade of sepia known to humanity, as if Van Gogh had stocked up when his local paint shop had a sale on mustard. Moving stealthily was easier said than done on a sprawling carpet of brittle leaves, but we gamely continued, hoping to catch a glimpse of some of Central America’s exotic wildlife. Marco hissed for us to stop. We froze in our tracks, longing for something devastatingly deadly like a fer-de-lance, or even a particularly bloodthirsty and really vicious butterfly, but instead Marco pointed at a sharp tree branch directly ahead. “Look,” he said, his eyes as wide as the jaws of the hungry jaguar I was hoping to see. This had to be good to get a local pro like Marco so excited, yet all I could see was the tree. Perhaps it was an ocelot, the jaguar’s smaller cousin and my second priority, assuming a chupacabra was out of the question. 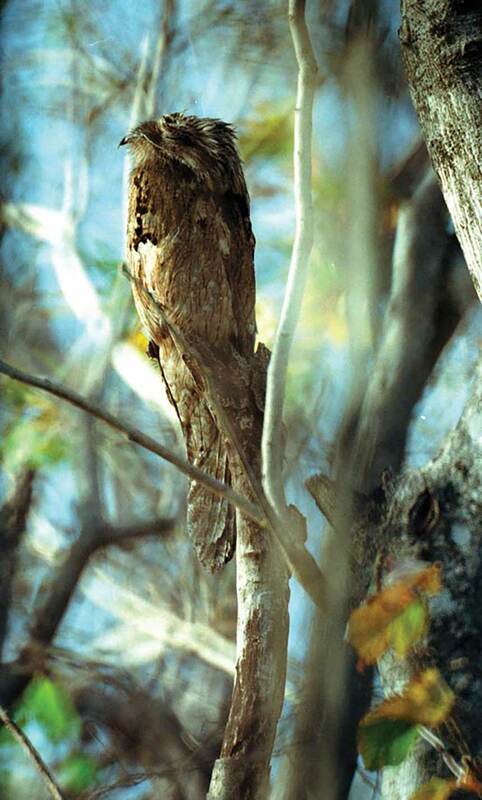 The (not so) common potoo. All I could think of was the maniacal alien from the Flintstones cartoons—but even if it was Fred and Wilma themselves, I was still seeing nothing. Marco quietly slid in beside me and directed my eyes to a tree. And then, like one of those 3D prints that you have to cross your eyes and press your nose to before slowly moving backwards, the common potoo came into sight. It was a yellow and brown bird, sitting atop a yellow and brown branch in the middle of a yellow and brown tree in a forest of yellow and brown. How could I possibly have missed him? His angular head, hooked beak and inert body provided perfect camouflage and made me feel somewhat better that it had taken so long to spot, even after Marco had practically handed him to me on a platter. We stood and watched the evidently not-so-common potoo for several minutes with a growing sense of excitement, thanks to Marco’s infectious enthusiasm. Birds hadn’t been top of my wants list, and we hadn’t seen a (not really) man-eating jaguar or deadly snake, but we had come away with something few visitors to the jungles of Costa Rica ever actually see. We couldn’t wait to tell friends and family of our good fortune, although the likelihood of any of them knowing that the common potoo wasn’t a small alien was pretty remote. When I was six years old, I used all of my pocket money to join a birdwatching club. I received a membership packet, which included a booklet with illustrations of most of the birds that could commonly be seen in my area and a blank form on which I could write them down when spotted. 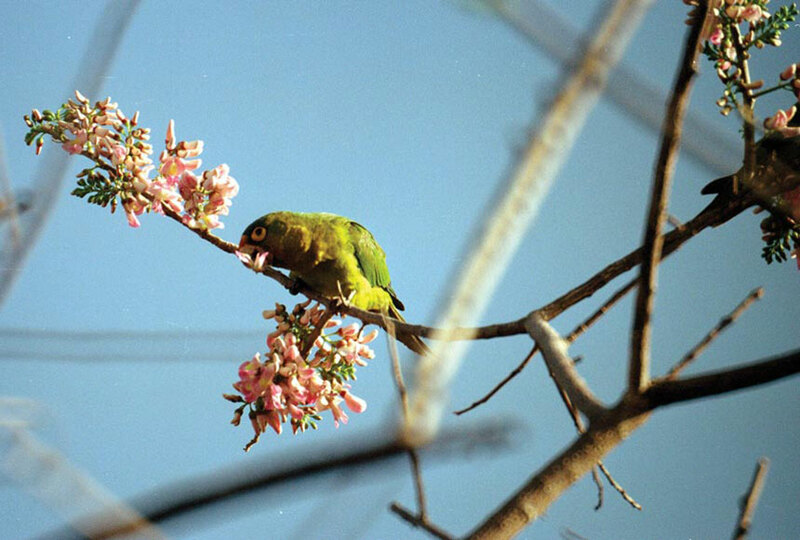 I never became a confirmed twitcher (as birdwatchers are sometimes known), and don’t recall ever writing a single sparrow, pigeon or dodo on my form; but our feathered friends have always tickled my fancy, and, perhaps more importantly, I keep an open mind to the little things around me whenever I travel. When you go to Africa you want to see lions or elephants; in Australia it’s kangaroos and koalas; in the Galapagos it’s tortoises and whales; and in the U.S. it’s Elvis and Jimmy Hoffa. No matter how hard you try to get excited by a grub or blow-fly, maggot or gnat, it’s really difficult to do the happy dance if you’ve missed the A-list animals. But if you take a keen interest in what’s around you, listen to your guide or do your homework beforehand, you may end up getting an even greater thrill from something other than the marquee creature. I can honestly say that spying a serval in Tanzania or a family of wild dogs in Botswana was every bit as exciting as my first lion or giraffe, because I knew from my guides just how rare such sightings were. Both spottings had made my day and were among the highlights of those trips. The only other serval I had ever seen had been stuffed and sitting outside a cobwebby antiques shop in England (or, despite the aged brass plaque on its base claiming otherwise, perhaps it was actually a large moth-eaten Siamese cat). Either way, not quite the same thing as a wild cat on the savannah. My guides were absolutely beside themselves with excitement and couldn’t understand why the other safari-goers weren’t as thrilled. The reality is that none of them had likely heard of the serval before, and as for the dogs, they likely thought their shih-tzus at home were more attractive! As my African travels gained momentum, I was soon ogling lilac-breasted rollers and tracking grey louries by their distinctive call. 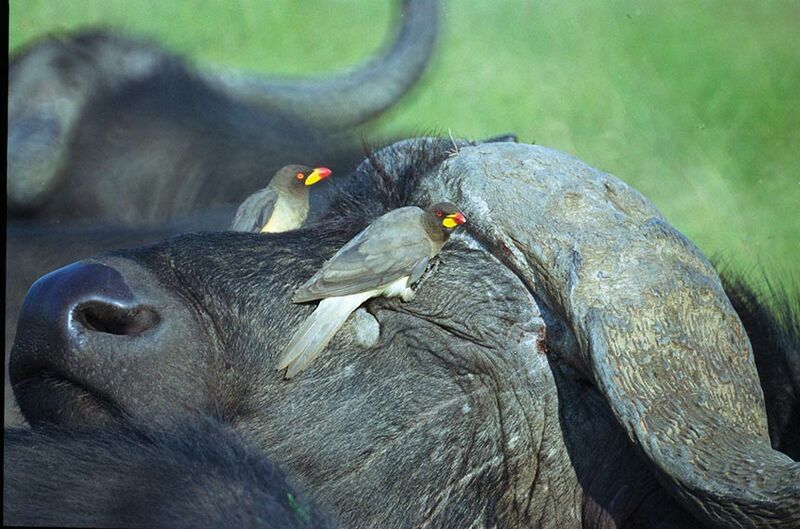 I thought superb starlings were, well, superb, and was completely agog at the tick birds riding the hides of cape buffalo. I still wasn’t a real beak geek, but I just couldn’t help finding that whatever excited my guides excited me. 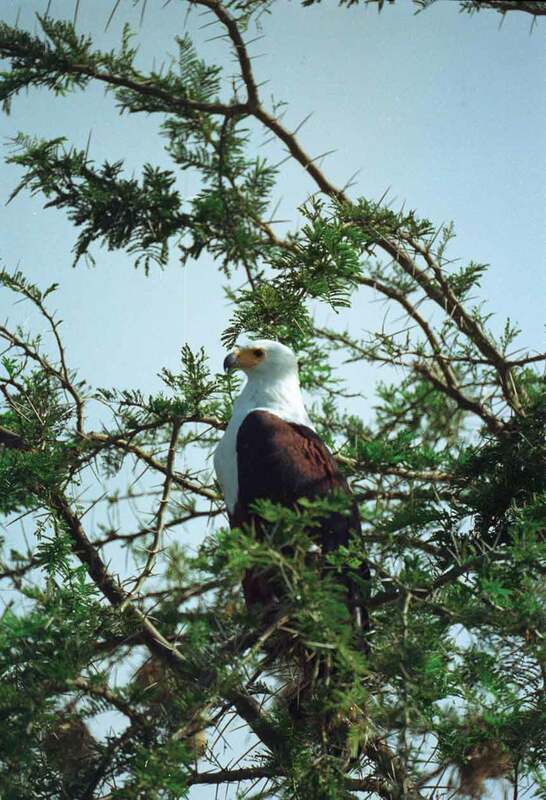 In Tanzania, their knowledge and enthusiasm was so contagious that I practically had hives when a black kite nearly ripped off my scalp while trying to steal a peanut butter and jam sandwich from my hands. 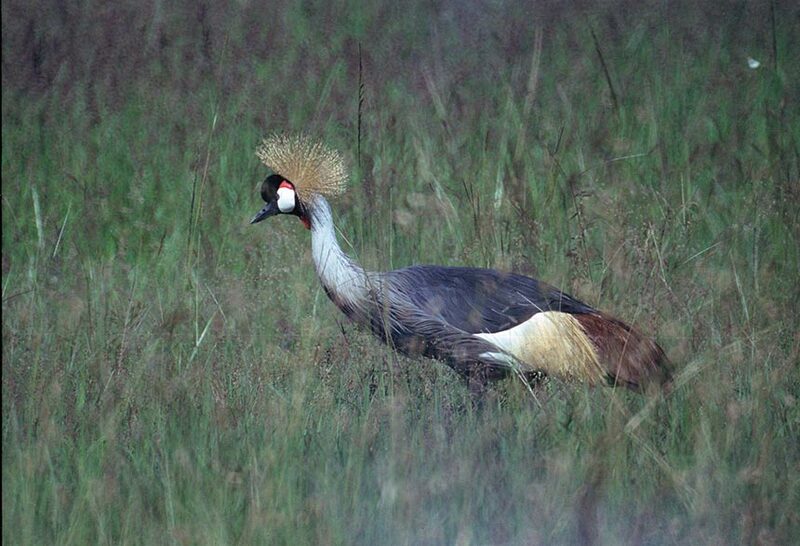 Later, I sat on the ground beneath a tree in the Zimbabwean bush waiting for what seemed like hours for the head of an African eagle owl to bob from its lofty nest, and was almost as thrilled by my first crowned crane in Uganda as I was by my first mountain gorilla. Though desperately hoping to see a jaguar in Costa Rica, sighting the potoo had reminded me of the existence of another bird which had long captivated me. Ever since I was knee-high to a blue-footed booby, this bird had attained mythical proportions in my mind, which was appropriate, since it was similarly revered by the Mayan people and appears on the Guatemalan flag. The bird was the resplendently monikered “resplendent quetzal.” How could a bird so named not captivate the mind of a young, impressionable, would-be twitcher? And as if that intoxicatingly colourful name wasn’t enough, the resplendent quetzal just happens to be intoxicatingly colourful. After our potoo training ended in success in Santa Rosa, I mentioned my newly recalled long-term longing to Marco. Several days later, I was climbing steep ground in the thick rainforest that lines the slopes of the active volcano. We spied a fiery-billed aracari—very much like the toucan from the breakfast cereal box, though not quite such a thespian. We saw blue morpho butterflies the size of our hand, but alas, no resplendent quetzal. At this point I’d settle for an unresplendent example. In fact, an average or even faded, pallid and anaemic quetzal would do quite nicely. And then Marco whispered for us to stop. He stood in a slight crouch before pointing ahead into the verdant gloom. As my eyes adjusted to the darkness of the jungle, I slowly made out what had caused Marco to smile with the happiness that only comes from finding a client’s favourite creature—and the knowledge that a generous gratuity would inevitably follow. There, amongst the panoply of various greens, was an ocelot. Its eyes round and dark, its tawny feline body long, lean and slender with dappled dark spots and stripes to provide perfect camouflage to not merely survive in the jungle, but to flourish. It was a thing of tremendous beauty and extremely elusive during the day. “Amazing, huh?” Marco beamed, staring at the cat.